Initial character concept for Nightshift, a supernatural noir graphic novel I’m developing. Kennedy C. Garza (KCGarza) is an illustrator and cartoonist based in Austin, TX. She graduated from the Savannah College of Art and Design with a degree in Sequential Art and has d… Show more. Send a message directly to Kennedy Cooke-Garza. Kennedy C. Garza (KCGarza) is an illustrator and cartoonist based in Austin, TX. She graduated from the Savannah College of Art and Design with a degree in Sequential Art and has done work for mobile games, comic books, album covers, and more. In her spare time she produced the webcomic Superbitch, for 4 years, and self-published the first volume in 2014. 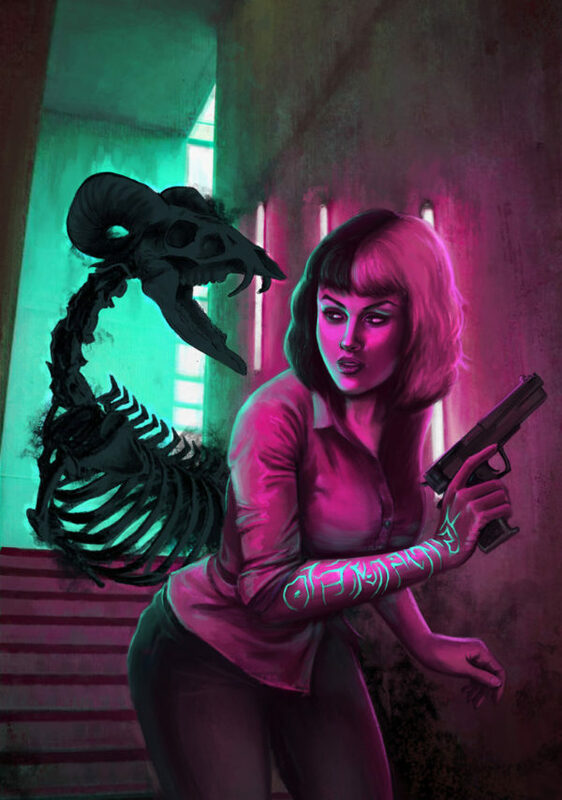 Her interests and experience lie primarily in dark fantasy, noir/pulp, and retro/pinup genres.